How does the Plumber Referral Program work? When the client calls our office we will send a representative to their home to preform an evaluation. Once the evaluation is complete we will give the client a proposal. If the client accepts our proposal and the work is performed we will then send a check for $100.00 to the individual who referred us to them. You Refer All Brite. We do the work. You get paid! If you are interested in participating in our program please contact us at any of the phone numbers above or e-mail us at sales@allbritecleaning.com for your referral program packet! Get a call from a client in the middle of the night? You can still refer us! All Brite is available 24/7 ! WHO WANTS AN EASY $200.00? Your phone rings in the dead of the night, it’s 20 below, and the customer needs you now. They have just returned from vacation, the house is ice cold and there is water in the basement. When you arrive there is a swimming pool down there and a hysterical customer that isn’t in the mood for the backstroke! OK, what does that have to do with $200.00? It’s simple, you pull out your plumber referral card and call our number. 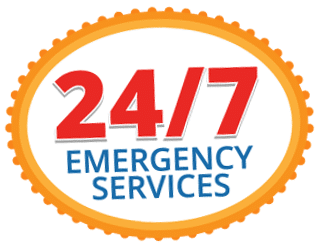 We will respond 24/7 with our E.R.V. (Emergency Restoration Vehicle) which is fully equipped with all of the latest structural drying technology, including the new Thermal Imaging Camera! So it’s that simple, you give out our number, we send you the check*. Call us today to receive your referral packet! Call on us for any restoration work (FIRE, SMOKE, SOOT, WATER, SEWAGE, and MOLD) and collect some cash! *Customer must hire All Brite in order to receive the referral fee.